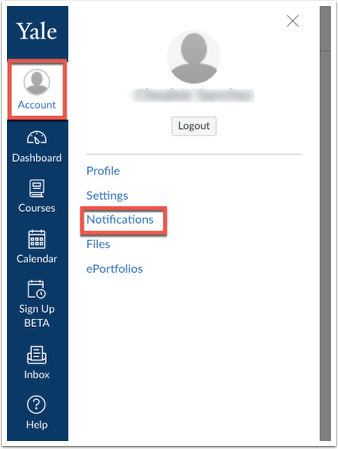 You can choose to receive announcements and Inbox messages that you send to your class. From the Canvas homepage, click Account, and then Notifications. From here you will see the title, Announcement Created By You. Select the green check mark in order to receive announcements you send to your class. Scroll further down to the Conversations area, and you will see the title, Conversations Created By Me. Select the green check mark in order to receive Inbox messages you send to your class. Once selected, the changes will automatically save. You will begin to receive a copy of the announcement or message you send. Next: How do I Communicate with my students?